Create a magical scene suited for a princess with these Disney Glow Princess Wall Decals from RoomMates! 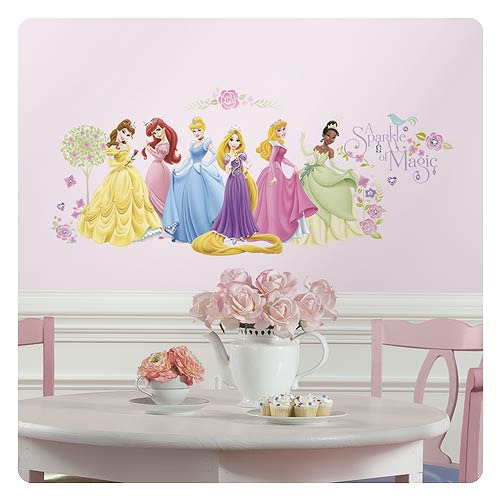 Featuring all of your little girl's favorite Disney princesses, these wall stickers are the perfect way to transform a bedroom, birthday party or even bedroom furniture! Remove and reposition these wall stickers as much as you want without damaging the wall decals or the surface. Decals range in size from 1-inch wide x 1-inch tall to 12-inches tall x 8-inches wide. For ages 13 years of age and older.